This boat is a game changer! 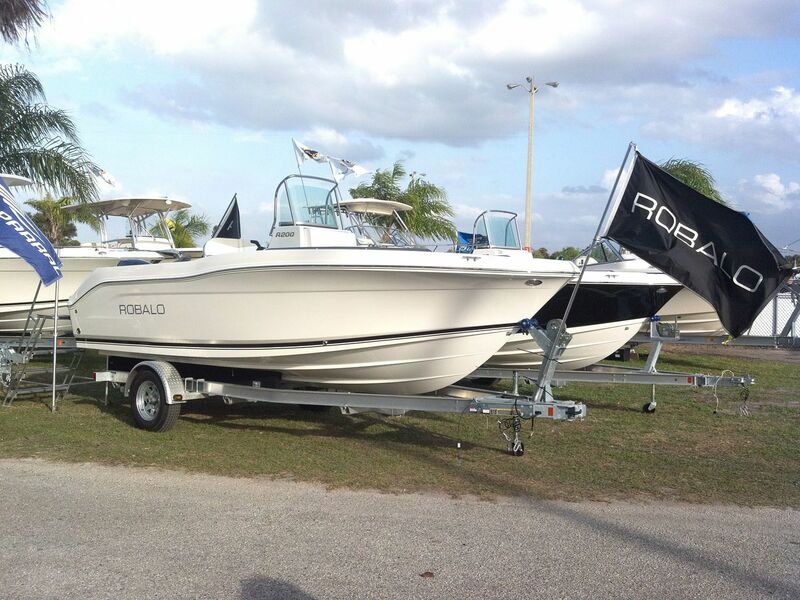 The debut of the Robalo R200CC is here in SWFL! The boat has just arrived for the Fort Myers Spring Boat Show at the Lee Civic Center! Robalo is going to change the way anglers go fishing with the incredible new R200. If the boat’s No Haggle, Reel Deal price tag doesn’t convince you a Robalo should be your next boat, a power packed list of standard equipment and clever design innovations certainly will. Powered by an optional F150 Yamaha and packaged with an aluminum trailer with brakes standard, the R200 is anything but a bare bones fishing machine. Extensive rod storage, a multi-purpose interior, powder coated leaning post, stainless steel hardware and Robalo’s award winning style lines put the R200 in a league of its own. Want to take the R200 up a notch? Custom options include a T-top, hydraulic steering, a porta-pottie and Command Link gauges!